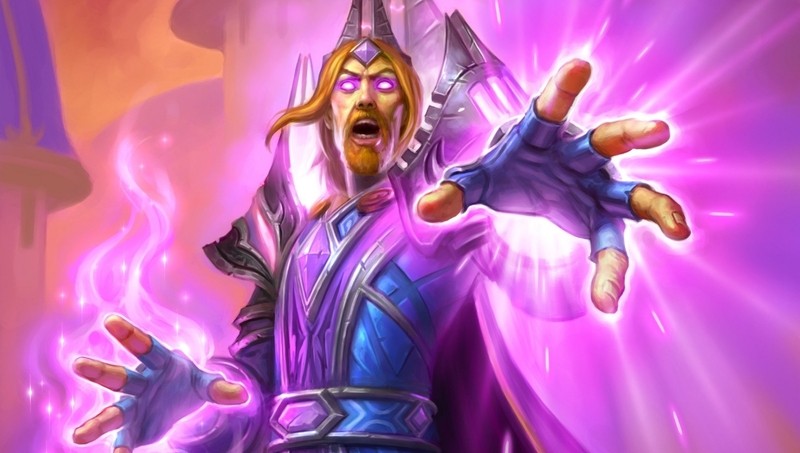 Our Big Paladin deck list guide features the best deck list for Season 61 of Hearthstone (April 2019). You can also find some general strategy advice and a breakdown of the deck’s key combos, but we will continue to add much more for Big Paladin over time. Big Paladin is a Hearthstone deck that – as the name would suggest – is loaded with some of the game’s largest creatures that you can buff, summon and resummon in order to batter your opponent into oblivion. A simple but expensive game plan, then. It’s one of the new archetypes to emerge in the days following the launch of the Rise of Shadows expansion. A handful of new cards from the latest set play a vital part in the list, including the new spell Duel!, which is one of the main ways you can cheat out your largest creatures much earlier to gain an advantage. If you fancy giving it a try our Big Paladin guide features the top deck list you can play on ladder right now. Further down we’ve also got some general strategy tips and a breakdown of the deck’s key combos so you can use it to its full power. More updates will come should the deck make a substantial impact in the new meta. This is currently the best version of Big Paladin seeing play in Hearthstone. As the archetype is new, more changes could be on the way soon so if you’re running low on dust be cautious with the expensive crafts! The goal of Big Paladin is to get your largest creatures onto the board way before their Mana costs should allow by using the Duel! spell, which was added in the Rise of Shadows set. This card summons a minion from each player’s deck and forces them to fight, so with all the bulky minions in your deck your creature should usually emerge on top (or not be killed) so it remains on the board ready to pressure next turn. - When you have a Secret in play Mysterious Blade gains an extra one Attack, which can be extremely helpful in dealing with your opponent’s early game drops. - Aim to play Redemption once one of your biggest minions is on the board. If you’re opponent removes it, it’ll come back to life at one Health. - Archmage Vargoth with repeat one of the Spells you’ve played during your turn at the end of your turn. If you can combine this with Duel! you can have an extremely strong tempo play on Turn 5. - When you cast Duel! a creature from each player’s deck will enter the battlefield and fight each other. If either survives they stay on the board. This is especially good for minions with Rush as they can then make a normal attack against minions too! - As you run a lot of cheap spells in this deck you can make a huge play using Prismatic Lens to swap their cost with one of your bigger creatures to get them on the board even earlier. - The cost of Shirvallah, the Tiger will steady reduce throughout the game as you play more spells. Eventually, he can drop all the way down to zero mana! - As Call to Adventure will draw and buff the cheapest minion from your deck it should hit Archmage Vargoth the majority of the time. That’ll give the important legendary some extra survivability and draw it into your hand so you can start the Duel! play next turn. - Cast Lightforged Blessing onto your large creatures when they’re in play to give you some very useful Lifesteal. - Consider the Secrets you can get from playing Desperate Measures. Even if you don’t get the one you’re after, the mystery could be enough to disrupt your opponent’s game plan. - At the end of your turn, Ysera will add a random Dream card to your hand. These can either be incredible powerful minions or spells that will go a long way to extend your lead, offer board clears, or buff your minions. - Amani War Bear and Shirvallah, the Tiger are both excellent targets to be put into play by the Overkill effect on Oondasta.